After an incredible two week cruise up the Mekong River, it was finally time to come back to reality where a cold beer and freshly made bed were not constantly awaiting my presence. We started the travel day in Siem Reap, Cambodia and would do some time travel before ending up at LAX later the same day. Boarding at HKG took place at a collection of gates at the end of the terminal. There were several flights departing for the US from these gates and as a result there were increased security measures taking place, which featured a nice frisking and additional bag check. Once we scanned our boarding passes, we entered through the forward most door and passed through first class enroute to our seats in row 22. This was my first time flying the reverse herringbone configuration and it didn't take long to understand why everyone loves it so much. First, when you're in your seat, you can't see anyone else in the entire aircraft. This is a remarkable design feat considering there are so many others packed into the cabin. Second, there is a ton of space to stow just about anything you would want within arms reach. I always have a ton of camera accessories with me and for such a long flight, it is nice to keep them close. I found the center compartment to be great for this purpose as it kept my things secure and out of the way of the small table in between the two seats. Third, the seat was very comfortable and long enough for my 6 foot 5 inch frame to stretch out with an inch or two to spare. This makes a big difference when sleeping. The seat controls were intuitive and easy to use. 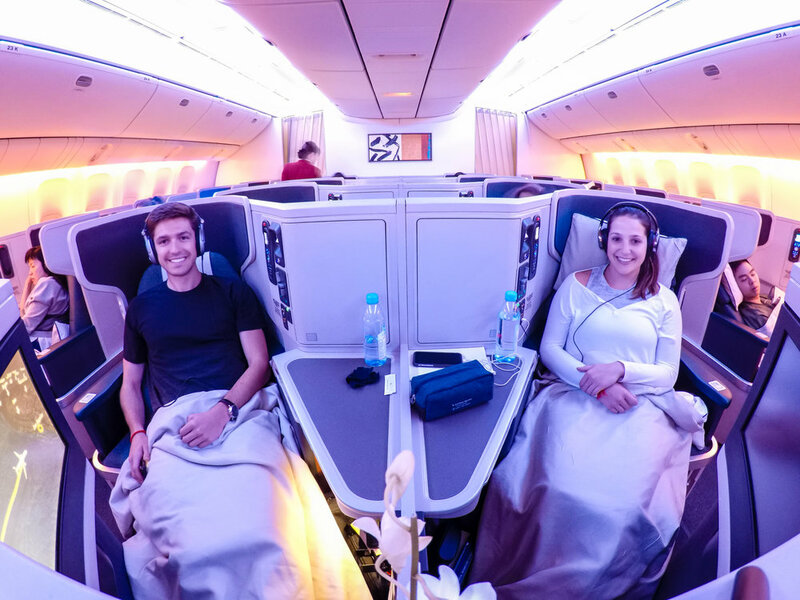 The sleeping pillow, small back pillow and comforter/duvet were actually very comfortable, which was a big improvement over the bedding provided by Asiana on our flights to Asia. Entertainment controller, Personal reading light, seat controls, power outlet and additional entertainment plugins. The screen pops out from the back of the seat in front of you and I did find it to be a bit small, but it was ok. My screen had some glitching pixels in it however and this was kind of distracting, but not a deal breaker. The rest is an abbreviated trip report using what photos I have before I decided to do these for my flights. 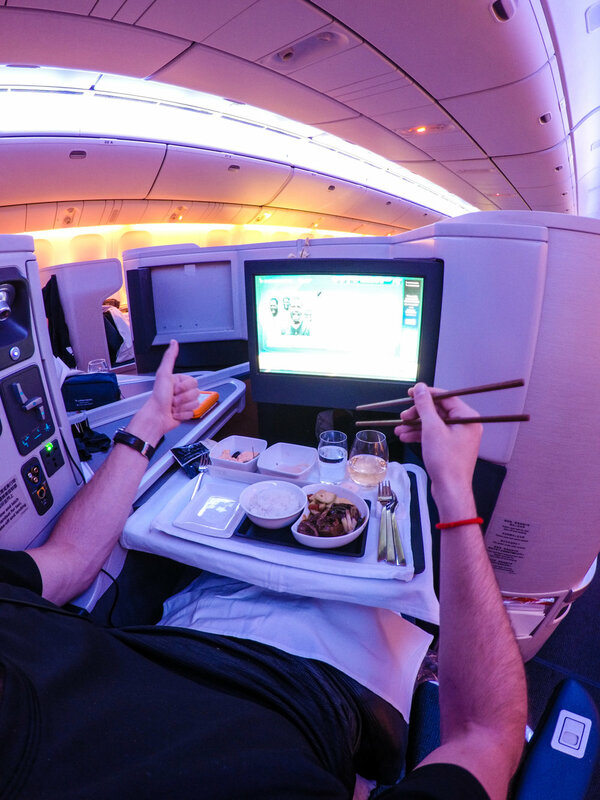 Final Thoughts: Cathay Pacific lives up to the hype. The service is incredible, the food is good, the seat is comfortable and the lounge was amazing. Will definitely plan to fly with them on my next trip to Asia.